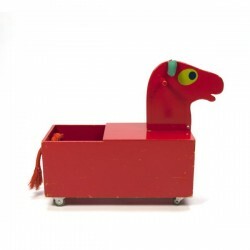 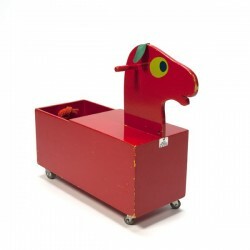 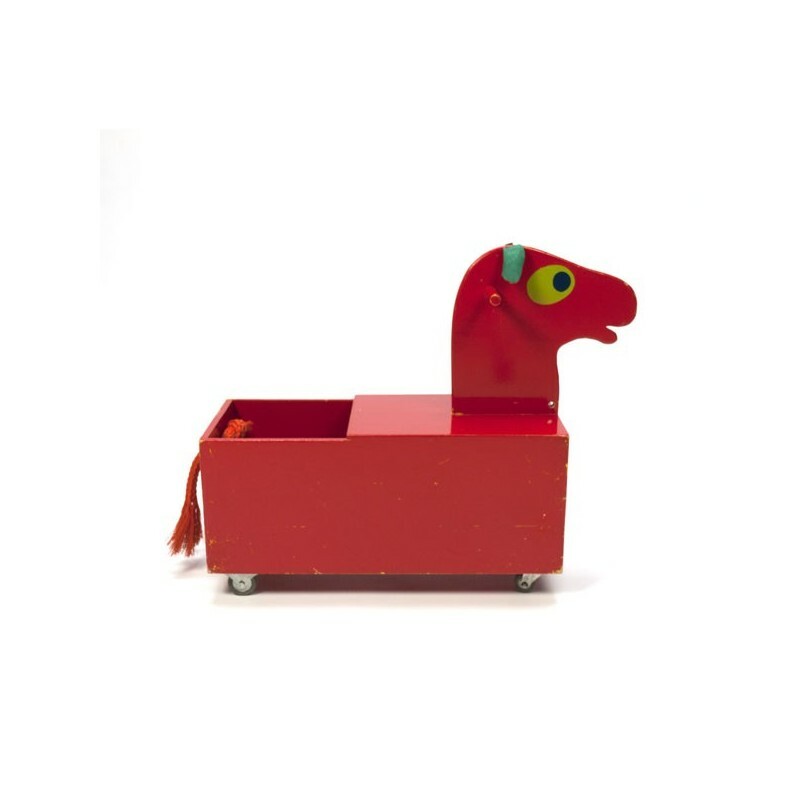 Vintage toy horse of wood from Finland. 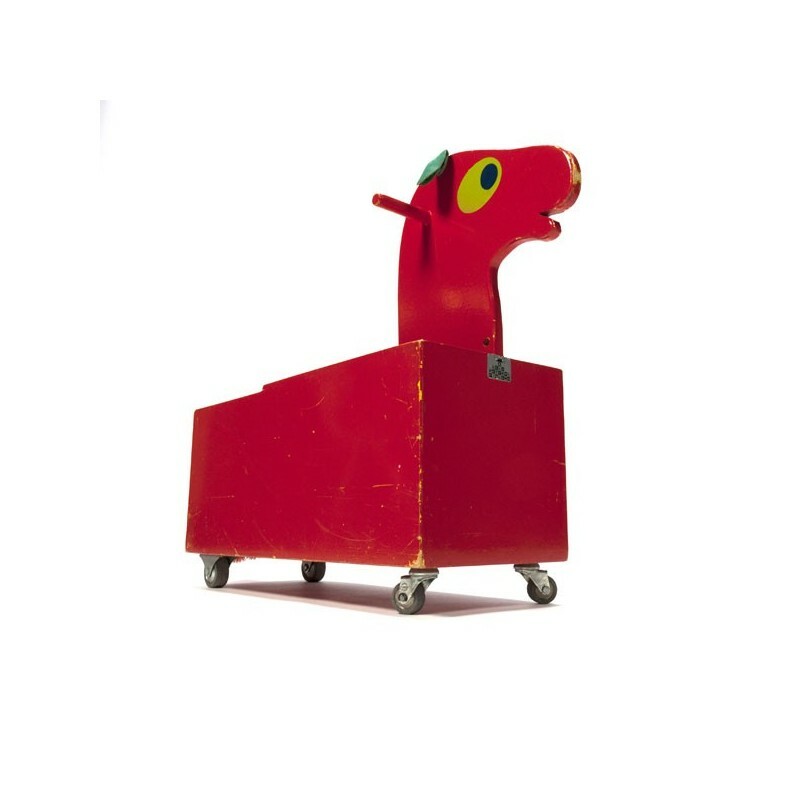 The car is red in color, with green leather ears, a tail rope and marked with a sticker. The condition is fairly good, there are some small damage spots to the paint, see detailed pictures. 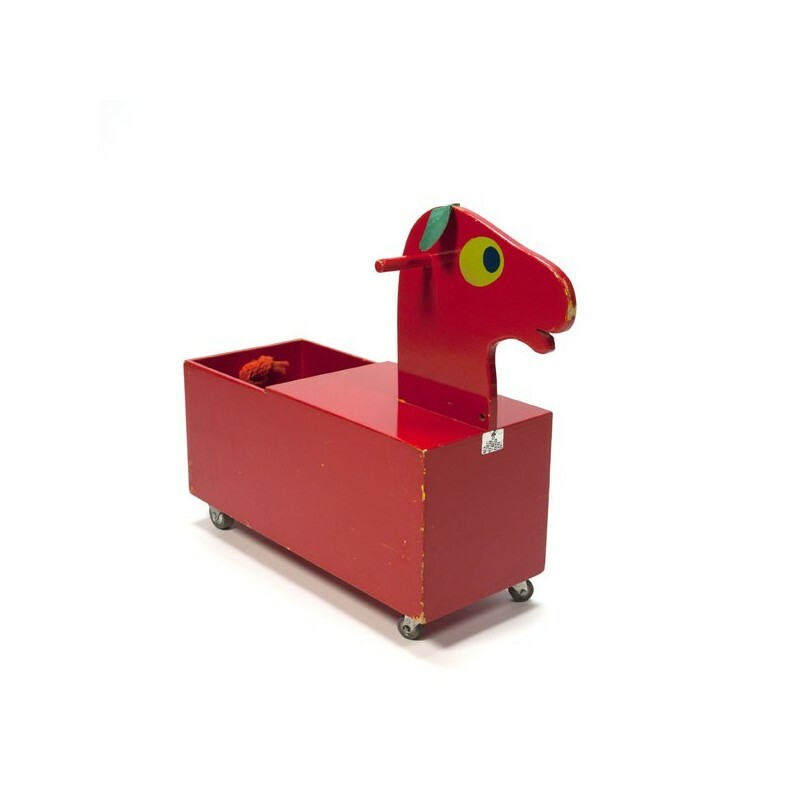 The size is 50 cm L / 49 cm H/ 20.5 cm W.